Butterbear has the same light vanilla fragrance as the permanent bath bomb Butterball. It is full of moisturising Cocoa Butter that leaves your skin feeling nourished, soft and smooth when you get out of the bath – you could definitely skip moisturiser if you wanted, it’s that good! Along with Cocoa Butter it also contains, Ylang Ylang Oil and Cocoa Powder which add to the sweeter smell of Butterbear. 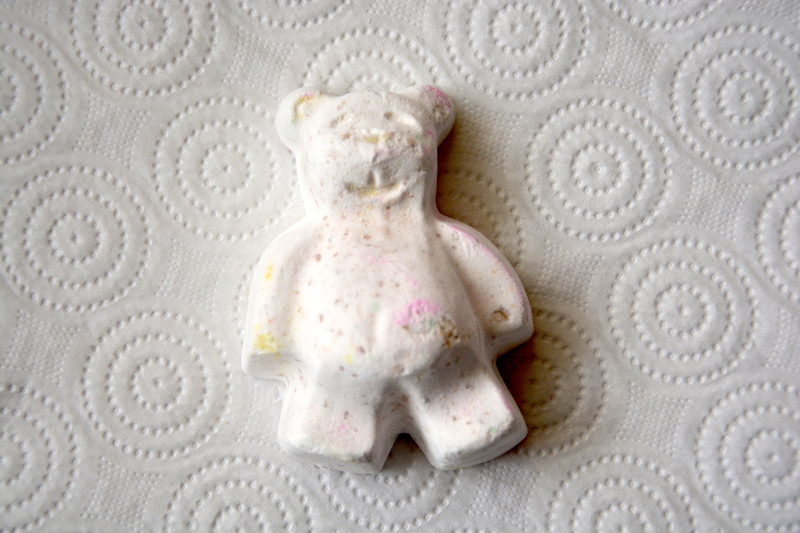 I love that Lush have moulded this product to look like a teddy bear, its different from all of their other Christmas themed products and quite cute. I think anyone, kids or adults, would appreciate receiving this on Christmas Day – or any day to be truthful. 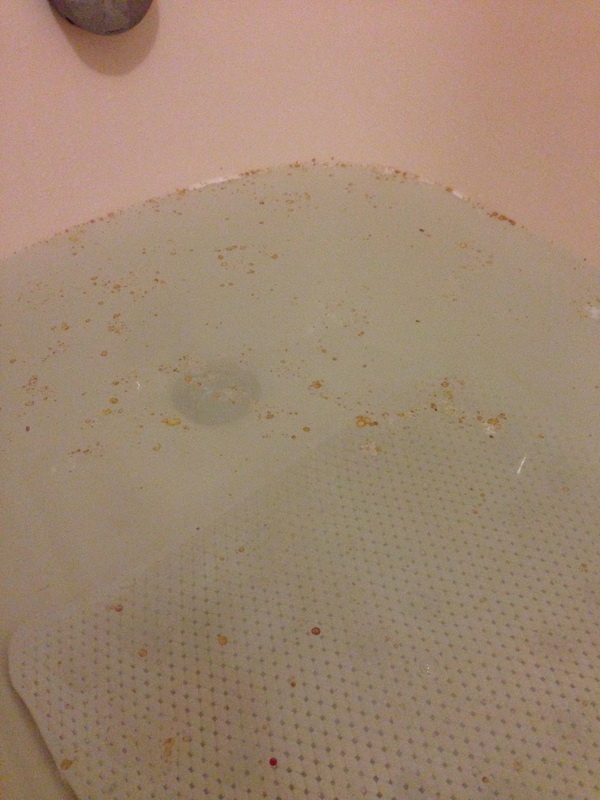 When you add Butterbear to the bath it dissolves quite quickly and it leaves little browny gold blobs on the surface of the water which I believe are little bits of cocoa butter. I tried to pick one up and it felt moisturising on my hand. Once you get in the bath it looks quite milky in colour and you can sort of feel that there is an oil in the water. After getting out and drying off my dry skin felt lovely. This bath bomb would be great for those of you who have dry skin on your bodies. The nourished feeling lasted until the next day when I had another bath so for the price I think it is excellent. Lush Butterbear Bath Bomb retails for £1.95 and is available here.